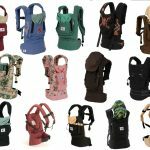 Comfortable straps are the most important thing you have to pay attention to when choosing a baby carrier for plus size parents. Besides being long enough to accommodate the size of the parent, they have to be padded. Unpadded straps, even if they are long, tend to cut into the skin, which substantially reduces the time you can carry the baby for. Some baby carriers come with waistbands. 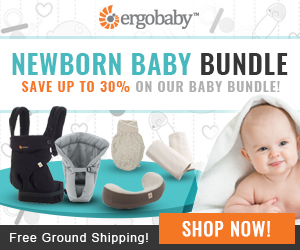 They are perfect for distributing the baby’s weight evenly and keeping the strain off your back. However, not all waistbands are fully adjustable for a plus size parent. If the carrier you’ve chosen features a waist band, make sure to check how far it can be stretched. Look for “extra wide” waistbands to make the baby carrying easier. Some plus size parents might suffer from excessive sweating. If you have a baby tied to you with a thick piece of fabric, it might significantly increase the sweating factor. Make sure to check out the fabric that the baby carrier of your choice is made out of. Breathable carriers with mesh linings are a perfect idea. While wraps and slings might seem to be perfect baby carriers for plus size parents, their high learning curve can be a downside. Reaching behind, bending down, curling, and turning in order to get the carrier tied correctly can be a hassle for plus size moms and dads. The easier the handling of the baby carrier is, the more attractive it should be to someone with extra weight. If you see that the carrier has a high learning curve, most likely it takes some serious exercising to put it on. Also beware of the various buckles on the back. Reach behind you to buckle and unbuckle the carrier can be close to impossible. If you have problems with good flexibility, make sure it’s not required of you when you put the baby carrier on. Not all baby carriers are designed to fit people of all sizes. Sometimes they come in 2, 3 or 4 different sizes. Make sure to read the reviews or the label to check out if there is a size on it. If a baby carrier has an XL on the label, it means that a plus size mom should be comfortable operating it. Manufacturers that decide to produce different carriers for different sizes care for the comfort of their customers, which means, most likely, you are getting a good fit. 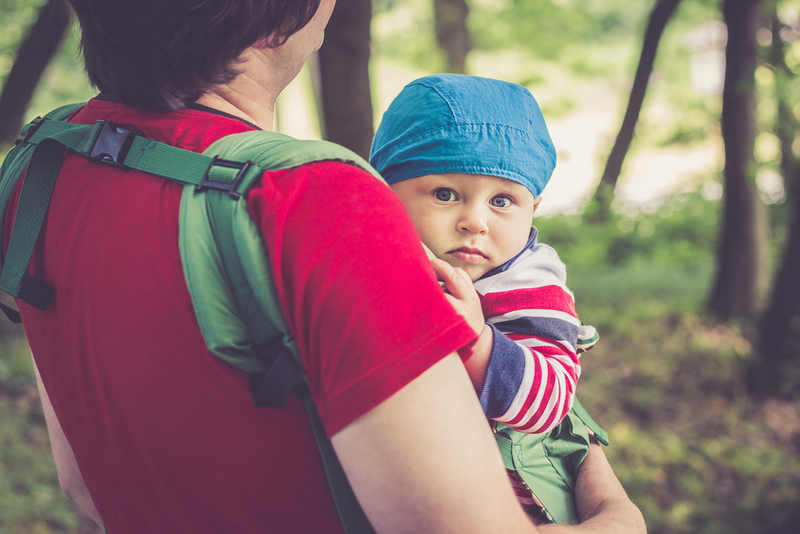 If you want to be comfortable using a baby carrier, you should be able to adjust it as much as possible. All straps and waistbands are usually adjustable, but what about other accessories? Check out the level of the adjustability in the baby carrier of your choice. Can you adjust it so the breastfeeding is comfortable? Can you reach all the pockets? Can you easily put the baby hood on? If you answered “yes” to these questions, then you can consider the model for your needs. Adjustable baby carriers for plus size parents are not that hard to find. You just have to know what to look for. After taking some time to review baby carriers for big moms on the market today, we came up with 5 options that seem to have all the advantages for a plus size parent and their children. Tula is a soft structured carrier, which is one of the perfect choices for plus size moms. The ergonomic in the name comes from the position the baby is sitting in the carrier. The legs are arranged in an M position to make sure there is no pressure on the baby’s back. The carrier can be used for front and back carry. Can be used for children up to 45lbs., so you don’t have to purchase a separate carrier once your baby grows bigger. The shoulder straps and the hip belt are highly adjustable, which is important for big moms, who need impressive adjustability. The shoulder straps are very well padded so they won’t leave any red marks on your shoulders. You can wear the baby for hours at a time. The carrier provides good weight distribution over your back and shoulders. The carrier has a low learning curve, which means it’s easy to put on and take off so you don’t have to do too much turning and twisting when operating the carrier. The carrier is very lightweight, which means you don’t have any extra pounds pulling on your back and shoulders. The carrier comes with a detachable hood to protect the baby from rain or the sun. There are more than 20 patterns to choose from. It comes in two sizes. One for infants and toddlers up to 45 lbs. and another one for children up to 60 lbs. The durable fabric doesn’t stretch with time even when you carry a heavy child. The pocket on the hip belt is not too easy to reach when the baby is in the front carry position. You would have to stretch your arms too far to get to it. The cost of Tula ergonomic carrier might seem too high for some parents. The buckle on the neck might be hard to adjust on your own. This is a wrap style carrier without the hassle that most wraps come with. It’s easy to put on and take off. This is a wonderful baby carrier for plus size moms who need a solid choice for their infants. These carriers are made out of soft fabric, which is highly adjustable and machine washable. This is a great baby carrier for infants and small toddlers. 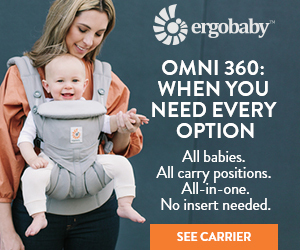 This carrier comes in various sizes, which is a huge advantage for big moms. All you have to do is read the sizing chart and pick the most suitable option for yourself. The fabric is soft and convenient for big moms and dads. Large straps make it easy to carry the baby for hours without the fabric cutting into the shoulders. Unlike most of the other wraps, this one is very simple to put on and take off. The learning curve is low. Baby K’tan is rather light. This is a big advantage when you wear a toddler. Any extra weight can reduce the time you can use the carrier. The stretchable fabric allows for simple breastfeeding for plus size moms. The fabric is very wide so you can stretch it as you wish depending on your size. There is a cotton mesh (Baby K’tan Breeze) version of this carrier. Even though it’s a bit more expensive than the standard model, the breathability of the fabric can be a great advantage for plus size moms. The baby sits in an ergonomic position. There is plenty of support for an infant’s neck and back. Soft and stretchy fabric makes the baby feel very comfortable. Most babies fall asleep in Baby K’tan carrier fast and easy. The carrier can be machine washed and dried. The carrier comes with a more or less moderate price tag when compared to SSCs. However, it’s more expensive than simple wrap carriers. The carrier comes in a big variety of colors. The stretchy fabric makes it hard to wear a big and active toddler. Sometimes it seems as if the baby is not secure in the wrap. The back support of this carrier is not sufficient when it comes to wearing heavy toddler. There are no convenient pockets to keep small things. Manduca is another one of great baby carriers for plus size moms and dads. Its main advantage is the highly adjustable padded straps and a wide waistband. This carrier is designed for children up to about 4 years of age. It has three carrying positions, but only one of them (front carry) is perfect for plus sized parents. However, big moms can get used to wearing the child on the hip as well. The front carry position is very easy to use and adjust. It takes only a few seconds to put the carrier on and strap the baby inside. A very wide thick and padded waistband makes it easy to put the carrier on and adjust it for a big parent. The soft fabric is designed to make the wearing comfortable for long periods of time. The shoulder straps are well-padded so there are no worries about them hurting the skin. The fabric is breathable and keeps the sweating to a minimum. Loosening the straps and the waistband is easy to make the breastfeeding possible without compromising the baby’s safety. Zippers and clip fasteners make it easy to operate the baby carrier without too much moving around. The fabric is lightweight, which takes the extra strain from the back and the shoulders. The SSC provides a perfect M position for the baby in all 3 carry options. The carrier is made out of 100 % organic cotton and comes in 3 colors and some designer prints. No infant insert is required to carry smaller babies. The SSC is equipped with a safety strap that holds it together even if the waistband buckle comes undone. The carrier is light and small enough to be very portable. Hip and back carry positions are hard to master and probably should be avoided altogether. The carrier has a certain learning curve, so the parents would need to spend some time learning how to deal with it. Waistband buckle is in the back and might me hard to reach for big parents. The carrier is not moderately priced.